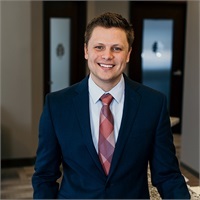 Tim Mattern has earned the National Social Security Advisor certificate from the National Social Security Association LLC in Cincinnati. The NSSA certificate promotes advanced Social Security education providing Mattern with the knowledge to counsel clients on the best way to claim Social Security benefits in order to optimize lifetime Social Security income. With this training, Tim can guide clients through the many Social Security options that are available. NSSA advisors are uniquely qualified to help the growing numbers of baby boomers. The program is the gold standard in Social Security certification and training in the nation. He spent most of his career in hospitality before making a career change to join the Taatjes Financial Group team. Tim has discovered one of his passions is teaching people to understand their finances to help them make informed decisions. “True Wealth is being intentional - living each day with the understanding that it is not about how much you save, but how much you don't spend. I believe one of the ways to gain financial freedom is to make choices today that will impact tomorrow in a positive way. We have a great platform to impact lives and it's the main reason I became a member of the Taatjes Financial Group team", says Mattern. Tim lives in Willmar currently and enjoys spending time with his family and friends. You may catch him on the golf course during the warmer months. He is a Willmar-native where he graduated from Willmar High School in 2005 and attended Ridgewater College. He holds a Series 7 (General Securities Representative) and 66 (NASAA-Uniform Combined State Law Exam) license. Investment services are offered by Tim Mattern through his affiliation with HD Vest.